I often get asked how parents can regulate their child’s technology use. 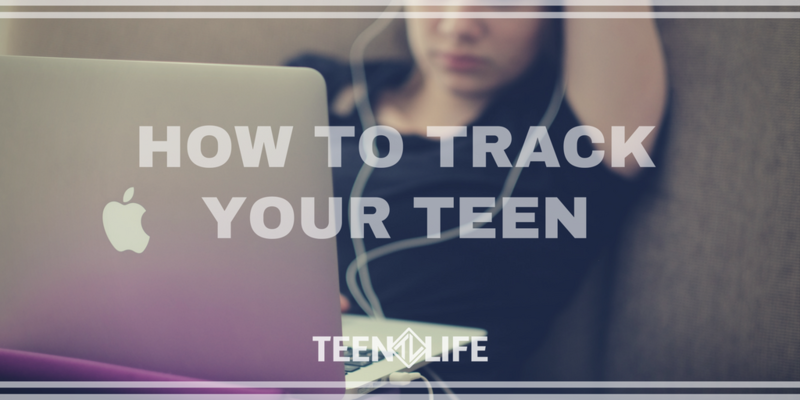 How they can monitor the activity on their teenager’s device? What app works for limiting access to inappropriate sites? All good things to be thinking about and asking. The difficulty is the answer may surprise you. There is not a good solution. Not if you are looking for a single, all-things-covered, monitored, and blocked appropriately app or software solution. Things are changing too fast. I remember the first time this hit me was probably 5 years ago. I was talking with some students from a local private Christian school. The discussion was about what they do during their day. One thing that came up was how they play games on their school issued MacBooks. I was interested and said, “Don’t they block that stuff?” The students laughed and said, “Of course they do but we always find a way around it.” Almost implying that was a game in itself. The challenge of finding a way to get around whatever limits had been set felt like an invitation to try to out smart the system. I have since learned that the makers of these game sites are on the side of the students here too. They constantly tweak the URL (web address) or how the page is configured so that the specific link that was blocked is now available again. And you know if gaming sites are doing this so are “adult” and other sites. So what do you do as a parent or youth minister who is undoubtedly providing WiFi to students who see it as “fun” to try to access content that is at the very least questionable? First, you need to be in regular conversation with your student about how they are using the internet. It is true some people see it as an entertainment device or a toy, but it is much more healthy to think of it as a tool. The only way this foundation can be built is to have open conversations with your kid. We have written about this several times. Simply go to our blog page and select the “Technology” category to find a post that strikes a cord with you. 2. Use multiple tools. The problem I mentioned above that your teen will see any restrictions as a challenge to try to sneak around can be dealt with in two ways. Make sure they know you are setting up restrictions that will apply to everyone and by using multiple layers of tracking, blocking, restricting. First, set up opendns.com. It’s easy, and the great thing here is it filters at the internet so any device connected to your home Wifi (or wired if you’re old school) will be filtered no extra per-device software needed. Second, use your router’s settings to time limit or block access completely. The key here is to simply search YouTube for your router model and then look for a video of someone showing you how to set up restrictions. Not all routers have this so it may involve some financial investment but it is totally worth it to have time limits and another layer of filtering to catch things OpenDNS doesn’t. Third, use the device specific parental controls. Again, YouTube is your friend. 3. Use specialty tools. I believe the use of tracking or filtering apps should be your last line of defense. While they work, it typically gives a false sense of protection. This is because devices are constantly being updated. When you set an app up to monitor, you assume it is working but that is not guaranteed, and you don’t want to believe your child is safe and not check when they could have gone days or weeks without any filtering on their device. That being the case, I currently do not have a specific recommendation for a filtering or monitoring app. There are lots of options out there, and I recommend reading the reviews on your App Store to decide the best one for you. 4. Be creative. The bottom line here is to work this out so that your teen learns how to regulate themselves so you don’t have to be their brain forever. One suggestion I often make is to simply use the same App Store login on all devices (in my case Apple) and set my device to be the main one and download all new apps. This way I get “notified” anytime someone downloads something and can go back to where we started and engage them in relationship to talk about that specific app. Maybe this will prompt you to think of other creative ways to force a healthy conversation and teach rather than having to focus on how you can police every move. Something most of us don’t want to be doing anyway. If you are struggling to think about how you can do this, maybe especially with your older teen because you think, “This really sounds invasive. Shouldn’t they have some privacy?” Think of it this way. My wife has full permission to get my cell phone, unlock it (because she knows the passcode) and read every single text message she wants because I have nothing to hide. For your teen, there should be no need for them to hide anything, especially the poor decisions they might be making. You, as their parent, should be the most safe person for them to talk to about everything that is going on. If they don’t know that, tell them and show them until they believe it. This will change a lot more than internet use in your family. I truly hope this is helpful. The internet is not going away, and it is only going to “invade” our lives more. The old idea that we can just ignore or stay away is not going to be reality for my kids or yours. We must be in the conversation and diligently teach our kids how to navigate the complexities of the internet and social media. What other ideas do you have on this? I am constantly learning and I know I can learn from you too.